Dr. Sailesh Rao Reveals the Secret to Saving the Planet by 2026! Exclusive EVEN Interview with Robert Grillo. How I Found My Passion As A Vegan Globetrotter! 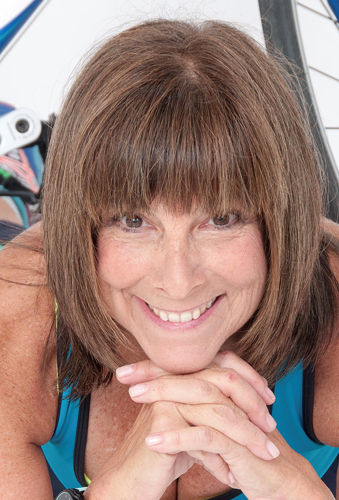 Ellen Jaffe Jones (The Veg Coach) is a best-selling vegan cookbook and health and fitness author, as well as a sought-after speaker at vegfests, foodfests, health fairs, book festivals and many other venues. She has published 6 books with the oldest and largest vegan publisher in the US, and is currently working on a 7th. She is legendary in engaging her audiences and conducting her Q and A while holding a plank contest. Her record was 10 minutes at the Tampa Vegfest. She is a certified personal trainer and has coached high school girls cross country and track. MK ambika: Respected madam, as I am studying I am interested to known what are all the diets I have to consume. Corinne: I love your magazine and will share it with others! Amazing!! Geoff: WOW, what a great magazine!! More and more stories, that build a weight of evidence for a plant based diet. Carole: Beautiful, beautiful work and very inspiring. Thank you! The world needs this! Marcela Sabata: thank u so much!!!!! i have suscribed. hugs from Buenos Aires!!!!!! Kim Gaalaas: I want to read it all, just getting prepared for the Cube of Truth this afternoon.